As many other companies of the era, SUNBEAM was first launched as a Cycling industry and then entered in the automobile industry. The first produced vehicle of SUNBEAM was really a "Strange" invention, which looked more like to a Victorian era armchair on wheels. In 1920 began the cooperation of the companies SUNBEAM-TALBOT-DARRACQ, however cooperation between companies in the group (STD) collapsed and as a result in 1935 the company was repurchased from group ROOTS. As a result of this movement, in 1938 didn’t exist any cars of SUNBEAM and the name was matched by TALBOT in 1939. 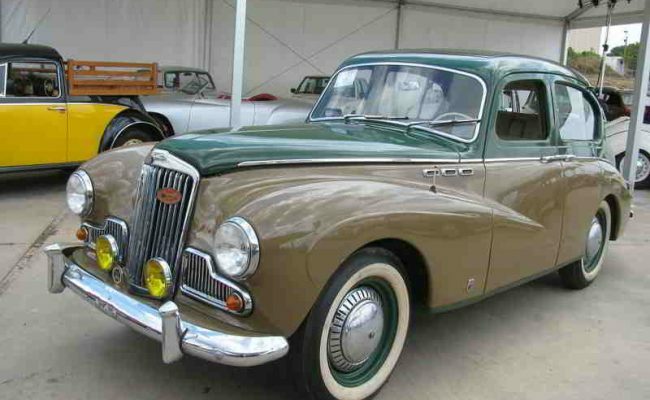 The SUNBEAM Talbot was simply luxurious versions of models HILLMAN AND HUMBER. 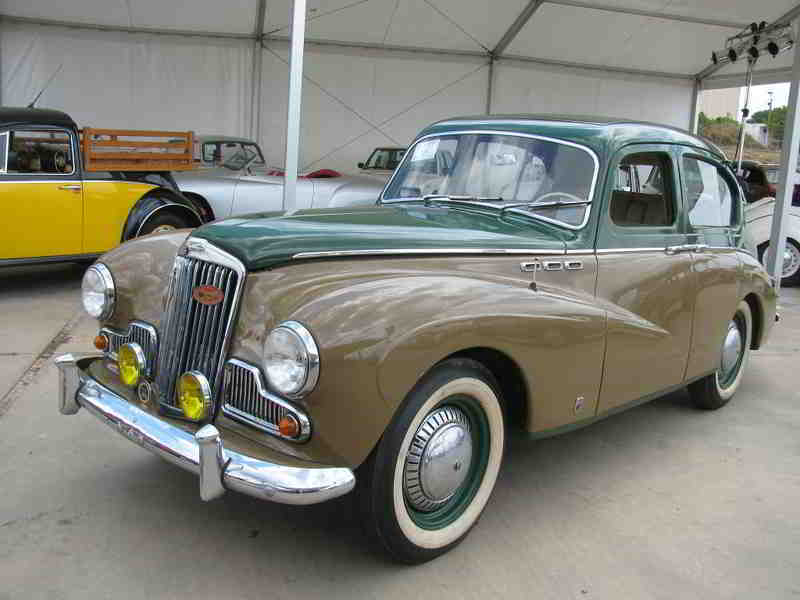 The present car constituted the “Rich - Precise” version of the Group on drawings of the design department and thus was named SUNBEAM SUNBEAM with engine 2300cc, 4 doors that open-close with the “wardrobe technique” and rich equipment compartment. Production began in 1954 and lasted 6 years. Today in England exists more than 15,000 fanatical funs members of various SUNBEAM CLUBs. This vehicle has been upgraded fully from the technical part of the Museum in accordance with the original manufacturer's technical specification. In addition, the interior consist of high quality leather, which was customary in its era only with a special order. This particular car was used by the English ambassador in Athens until 1959 when he was transferred to another country.